It is almost completely impossible to believe that 10 years ago today, one of the great revolutions in IT was launched. On October 23, 2001, Apple announced the iPod. To say it was rudimentary is an understatement. It had only 5GB of hard disk storage, as the size of a deck of cards and weighed 6.5 ounces (100g) but the technology to prevent hard disk skipping (basically, buffering) as well as that weight put it leagues ahead of any competition for post-CD portability. Here is the initial press release and here is Steve Jobs introducing it. They saw music as an established and global market with no market leader. What was missing was compatibility with Windows and the iTunes music store. What was there was ease of use. The scroll wheel made navigating 1,000 and later on 10,000 songs easy. The battery lasted 10 hours. When you plugged it into your computer, it synced automatically. Using firewire it was extremely fast. During the whole thing it charged as well! And for its time, it looked pretty. But that was enough for it to sell more than any other device in its league — around 376,000 units in its first year. It would go on to sell 300 million. Apple bet on storage becoming cheap. The iPod was a product when it was launched. The iPod became a platform 2 years later when the iTunes Music Store opened. Apple had cracked how to provide enough DRM security with FairPlay to assure music publishers while, at the same time, being small enough to not look like a disruptor to the industry. Of course, that was a classic fient as it turned out that they were going to be a disruptor. But let’s return to ‘ease of use.’ It is easy to forget how ubiquitous the click wheel design seemed. 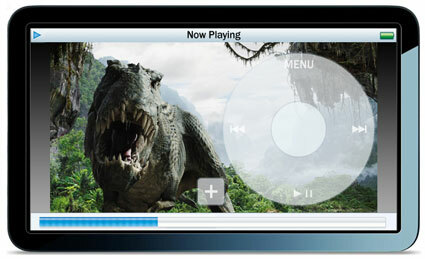 Just take a look at this common speculation back in 2006 as to how a touch screen iPod would look. Right there is a click wheel. No contemplation that Apple would redesign its navigation system when the iPhone came out. That was how solid the click wheel seemed. As a final remark, it is important to reflect that no-one saw this coming. Here are some fun reactions and here is the fun NYT review — “Apple Introduces what it calls an easier to use portable music player.” There was lots of derision about the iPod. People made fun of the name. Apple had already introduced the iMac and an iBook laptop. The whole ‘i’ thing seemed ridiculous. But somehow it worked. The only person who saw the future clearly was this guy. People used to argue whether the trend was toward an all-in-one gadget that does everything as opposed to a collection of specialized gadgets. If I’m right about the iPod, both sides of this argument are correct; people will use one comprehensive iPod-like storage and connectivity unit in combination with every specialized peripheral you can think of. As before, something designed for digital music will spread across other areas of technology. Descendants of the iPod MP3 player will replace the PC as the hub of your digital life. Why is it “almost completely impossible to believe”?